The new propane-powered Type A bus from Collins Bus Corp, South Hutchinson, KS, recently completed the certification process and has gone into full production. 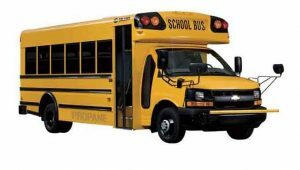 According to the company, the NexBus Propane small school bus will be available under the Collins, Mid Bus and Corbeil brands. Demonstrator vehicles were shown at state and regional trade shows this summer. He says the NexBus Propane bus has met or exceeded all FMVSS certifications for school transportation, including the highest standards for fuel system integrity. The engine developed in partnership with CleanFUEL USA, has obtained certification from both the U.S. EPA and the California Air Resources Board.